Leaving the book shop, I walk over to Heinrichplatz. Nothing much changes here. 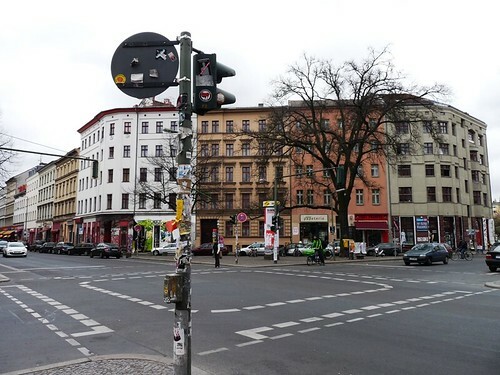 It’s strange, because Berlin is a quick changing place. 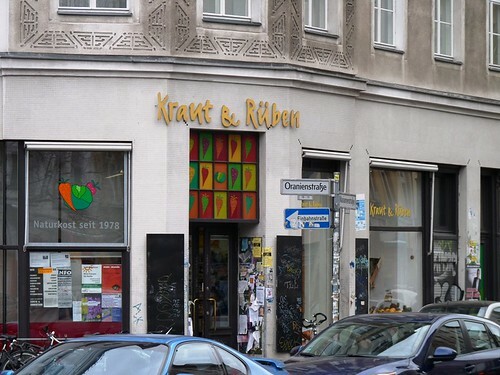 The organic food store „Kraut & Rüben“ is one of the first organic food stores in Berlin, I think. Since 1978. „Macht kaputt, was euch kaputt macht“ (Destroy what destroys you) was one of the slogans of alternative culture in the Kreuzberg of my childhood. Here you can listen to the German band “Ton Steine Scherben”. 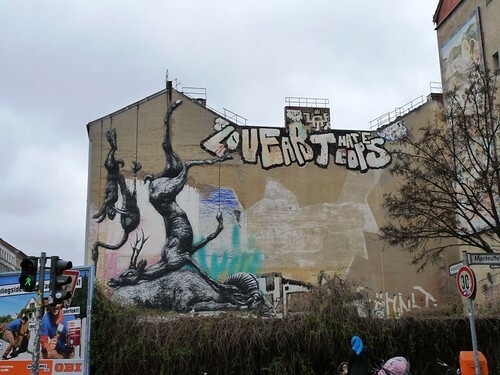 Kreuzberg was an area with cheap appartments and huge rear house studios at that time. 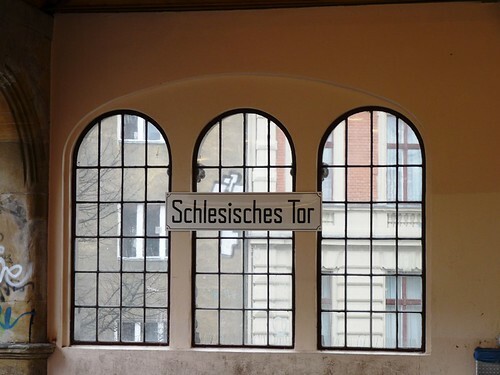 Further on, down the Oranienstraße. 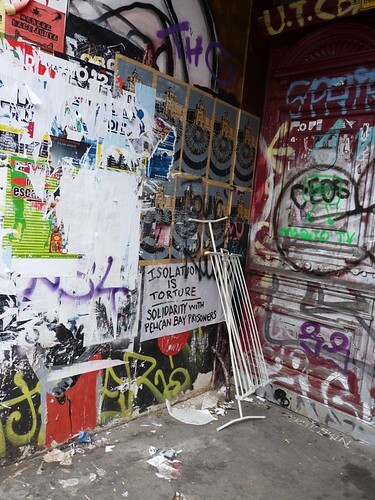 „Isolation is torture“- art environments are everywhere, may they be on purpose or accidentely. 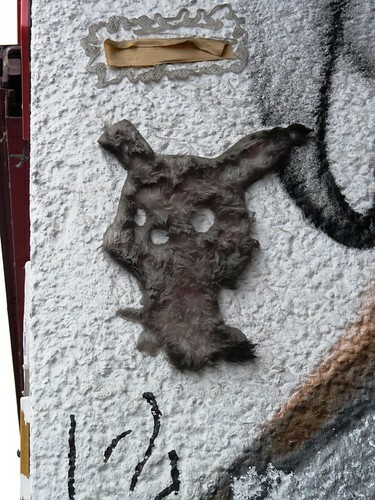 A little fur monster as „Guerilla Art“. This wall is filled with ever changing art work, poster art, graffiti and stuff. Second World War bombs left many of such huge walls. 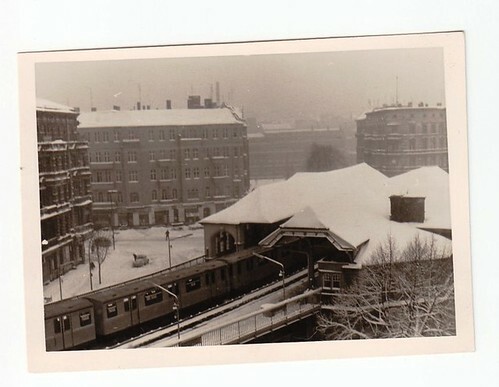 At the end of the street there is the station Görlitzer Bahnhof. Everyone loves us. And Mary too. 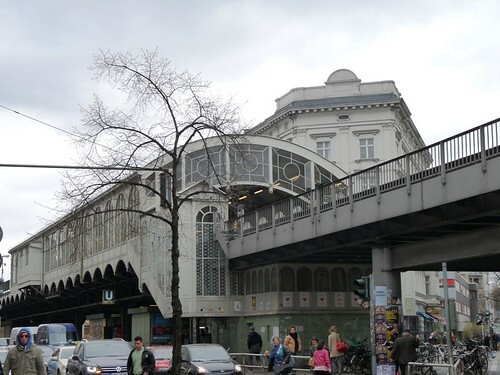 Back into the line 1, but only one stop to Schlesisches Tor. 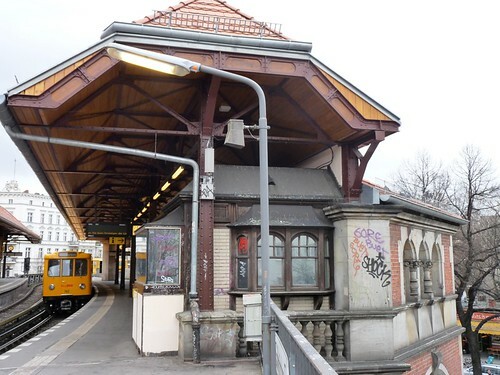 This was the old final stop when Berlin was still devided. I have lived there as a child til I was 3. What it looked like, when I was a child: Stay tuned for part 3. 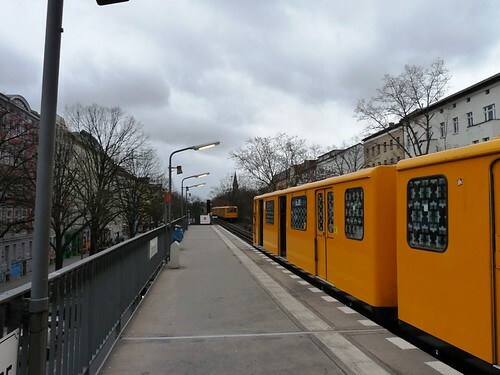 Berlin is at the top of my list for places I have never been that I would like to visit. I think its history...and the effect of that history on its identity today...is fascinating. Thank you for this visual tour. So glad to have found your blog, a beautiful collection of pictures and stories. It's been a long time since I visited and I am glad I came again. Your photography is amazing, really well composed and captured. I particularly taken with the graffiti shots. 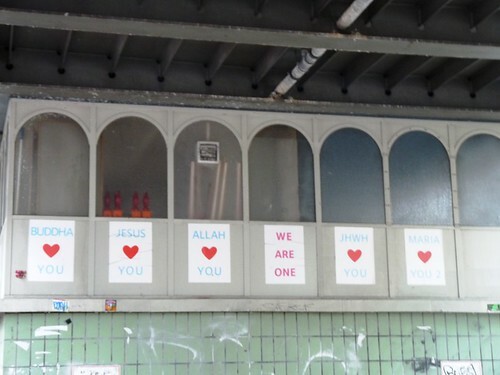 I adore Berlin! The last time I was there was the first time in several years, and it really struck me how the graffiti really fits in with the buildings and the energy of the city. Lovely photos you've posted here! Hi there- too long since I've been here. Love looking at your journal. Feels like i am reading a private book of yours! Wonderful!! Seeing anything from your view point is always fun...your tour of Berlin is amazing! I have never been there...thank you and it is lovely to see your artwork again AND you make me hungry with your beautiful cooking too!